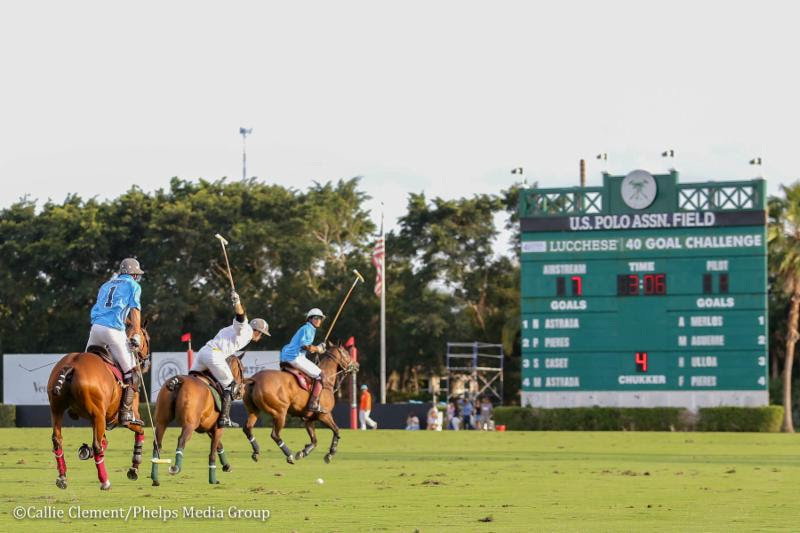 Wellington, Fla. – Polo players and fans convened at the renowned International Polo Club Palm Beach (IPC), for the annual Lucchese 40-Goal Polo Challenge. 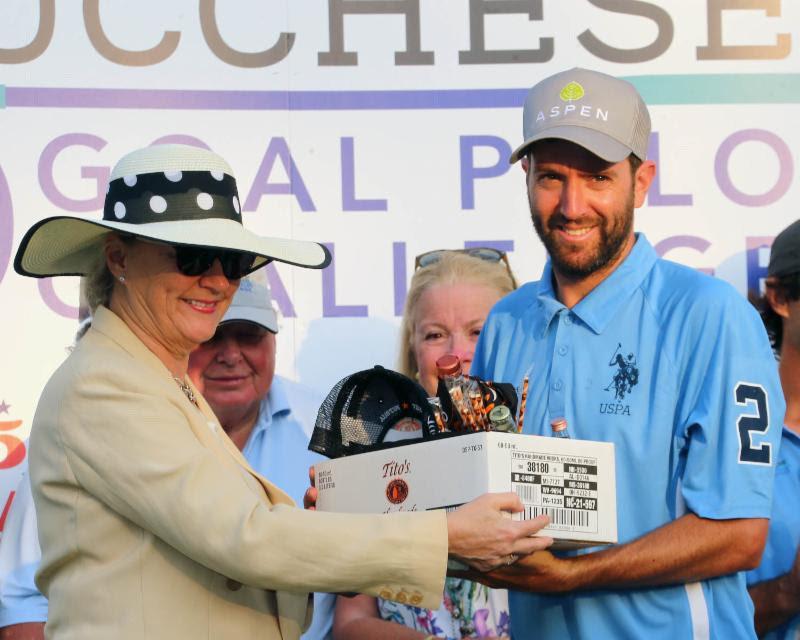 The match serves as the marquee fundraising event for the Polo Players Support Group(PPSG) – a 501(c)(3) that provides financial support for seriously injured and ill polo players and grooms. 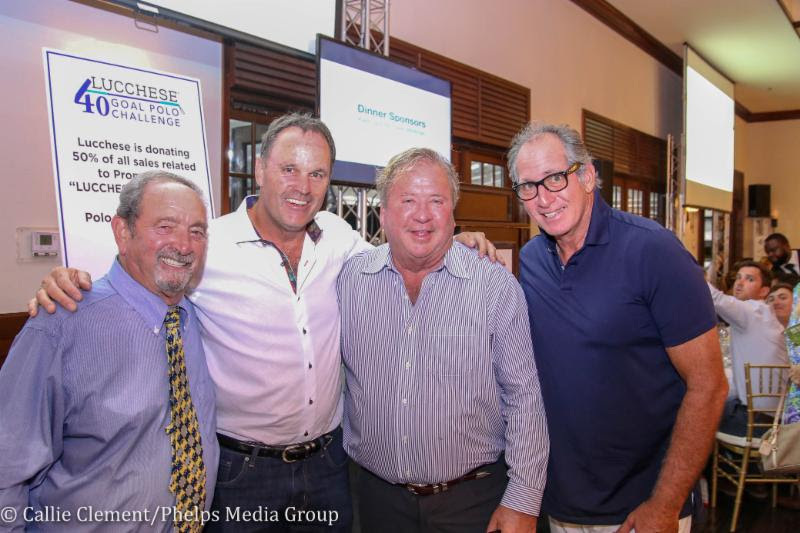 The event raised $375,000 which will be used to help those members of our polo family in need. 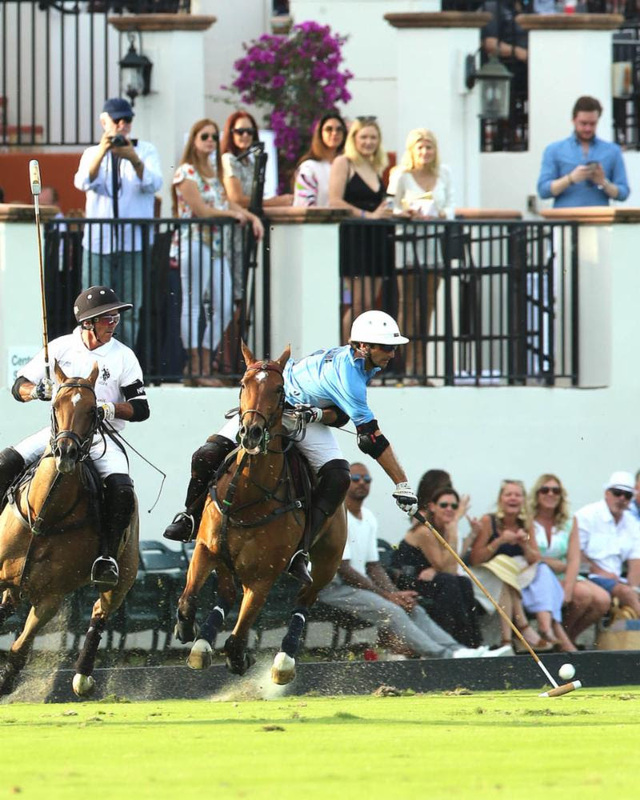 Four 10-goalers and four former 10-goalers took center stage to raise money for seriously injured and ill polo players and grooms. 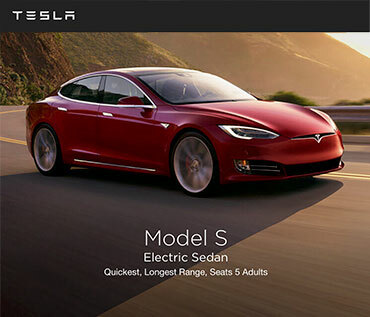 2019 was a particularly unique year, as there were two star-studded lineups. The opening act, the Future 10s match, was a 4-chukker display of the future of the sport of polo. Junior polo players with familiar surnames such as Hope Arellano, Miki Novillo Astrada, and Antonio Aguerre were joined by young Americans such as Jack Whitman and Aiden Meeker. The youngsters impressed the crowd with masterful moves you usually only see at the top level of the sport, validating the name of their match as true future 10-goalers. US Polo Assn (Antonio Aguerre, Finn Secunda, Jack Whitman Hope Arellano) slid past Port Mayaca Polo Club (Florencio Lanusse, Miki Novillo Astrada, Aiden Meeker, Milly Hine) to end the match 4-3. The high-goalers had a tough act to follow behind the Future 10s, but they were able to deliver. Four 10-goalers and four past 10-goalers made up the Airstream (Nacho Novillo Astrada, Polito Pieres, Sapo Caset, Miguel Novillo Astrada) and Pilot Catastrophe Services (Agustin Merlos, Mariano Aguerre, Hilario Ulloa, Facundo Pieres) teams. The game started with what would turn out to be the Tito’s Handmade Vodka Longshot of the Day award, made by Polito Pieres in the first 30 seconds of the game. Play throughout the first half remained open and fast, giving 40-Goal spectators the unique opportunity to view an impressive high level of polo. At the halfway point, Airstream held their lead by one, thanks to two vital goals by Miguel Novillo Astrada. 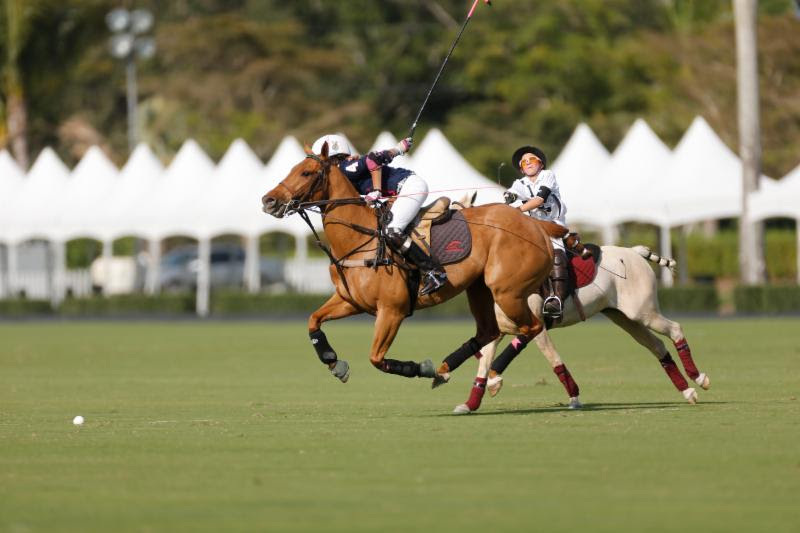 The third chukker began with Airstream’s Sapo Caset catapulting the team ahead by scoring two consecutive goals. Pilot’s Hilario Ulloa responded with his first goal of the game in an attempt to put his team in the lead for the first time during play. The rest of the third chukker, and into the fourth, Airstream held onto their lead, despite goal attempts from Pilot’s Aguerre and Facundo Pieres. The final score of the game settled with Airstream winning 8-6. Best Playing Pony, sponsored by 5-Star Builders, was awarded to Pucho, played by Sapo Caset. Players received Rich Roenisch bronzes, sponsored by Port Mayaca Polo Club, Gillian Johnston, and the Orthwein Family, in memory of Steve Orthwein, Sr., a great supporter of the organization who passed away in 2018. Following the game and awards presentation on the field, attendees made their way across the picturesque field one to the Pavilion at IPC where they enjoyed a cocktail hour while bidding on enticing silent auction items before piling into a sold-out steak and lobster full-course dinner, sponsored by the Whitman Family. High-priced items such as a complete set of Paul Brown prints sold for $5,300 to Chris Desino, the Costa Rica vacation, donated by the Escobar family, sold for $14,000 to Steve and Jessica Carbone, and newly inducted Museum of Polo and Hall of Fame Iglehart Award winner, Karlene Beal Garber, purchased the unique vacation to Costa Careyes for $5,000. In addition, all participating players jerseys were auctioned off throughout the evening. Continuing the momentum of the games on display throughout the day, the highest jersey bid was not from a 10-goaler’s jersey but from junior player, Hope Arellano, whose father 8-goaler Julio Arellano received financial assistance after a traumatic polo-related accident in 2018. 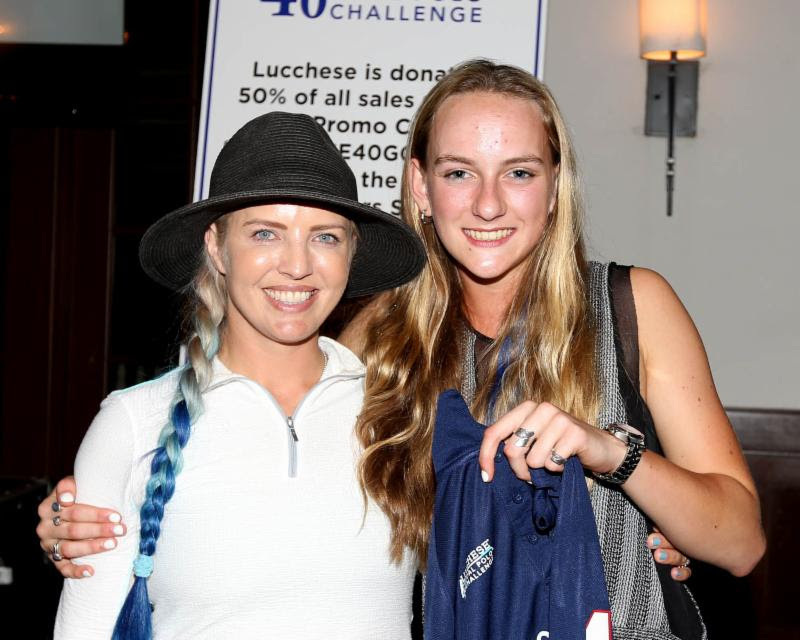 Her jersey was won by superstar show jumper Ashlee Bond, winner of the $72,000 NetJets Classic at the Palm Beach Masters that day at the Palm Beach Masters just next door at Deeridge Farms. The Polo Players Support Group is eternally grateful to the sponsors, players, donors, ticket and table purchasers, donors, volunteers and more. Thanks to the annual 40-Goal Polo Challenge and its supporters, the PPSG has awarded over $2.5 million to 80 different seriously injured and ill polo players and grooms. Founders of the Polo Players Support Group, Tony Coppola, Dave Offen and Tim Gannon with Cali Garcia-Velez.